I was travelling in Australia, when I tried diving for the first time a few years ago. I am the type, who likes to be really well informed and have a strong knowledge foundation. With diving, this meant that simply getting certified won’t be enough. Over the last couple of years I completed the PADI recreational courses up to rescue diver and started thinking of going pro, which is when I decided to do a Divemaster internship. I deliberately decided against a Divemaster Course, which is usually just a few weeks long, as in this timeframe I would not be able to gain all the skills and knowledge I was eager for. I spent more than two months doing online research and speaking to diving professionals in order to find the right education center. The location did not matter for me. I was looking for high standards of teaching from the best in the industry. This is when I came across Kiwidiver on Phuket, who not only met, but by far exceeded all my expectations. As I wanted to be sure I am investing my time in the right place, I flew to Thailand to meet the course director half a year before starting and discussed the internship itinerary. That is when I made up my mind that a Divemaster internship is absolutely worth the time and money investment. 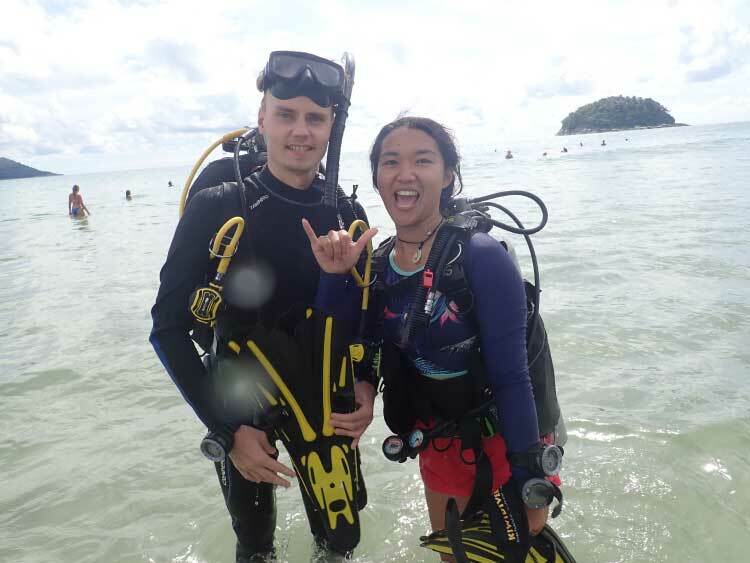 I enrolled for the internship at Kiwidiver together with my girlfriend and since we were the only two candidates (as they limit the course to two candidates only), the entire course was tailored to our interests. 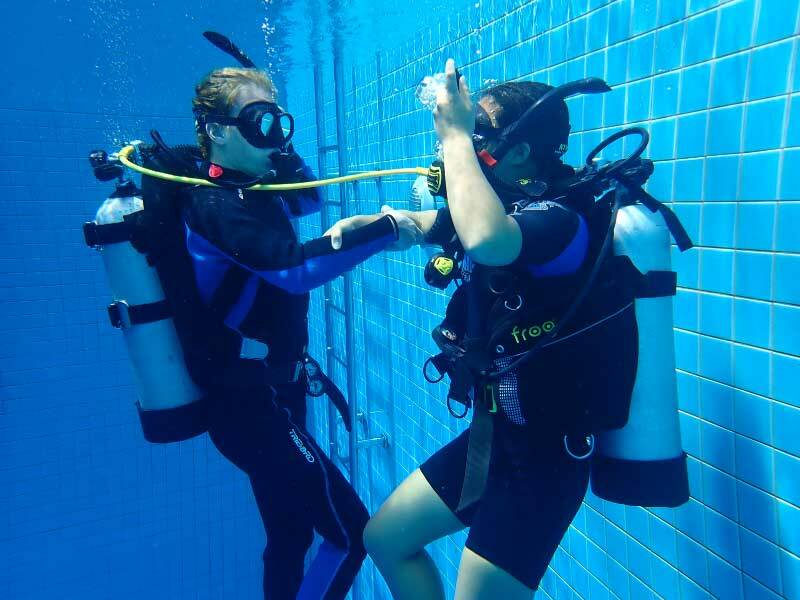 During the first month we studied the dive theory in depth, completed the knowledge reviews and did a great deal of practicing water skills and how these are to be demonstrated to others. Our Master Scuba Diver Trainer, Divan, did an excellent job in teaching us why we need particular skills and how to deploy them. We also started learning other practical skills like dive site mapping at Kata beach, which is just a short drive from the dive center and offers fantastic diving (the local reefs are often underestimated by divers, but I can only recommend them). Once we had covered all the requirements, we started a one month period of helping on the dive boat, where we worked with many different professionals, soaking up experience from instructors and learning their best practices of teaching scuba diving. Being one of the top boat operators in Chalong, we also learned things from the crew such as handling ropes and filling tanks. Before the start of our last month, we sat down with the course director, Kevin, and planned the last part of the course according to our interests. 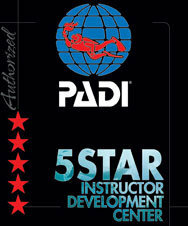 The focus was mainly on PADI specialties, which Kiwidiver offers as an extra to the training. We got certified for 5, but literally went through the whole range in order to broaden our knowledge base. One of my favorite specialties is the Self Reliant Diver, which was extremely rewarding as we got to benefit from Kevin’s wealth of experience and professionalism. One of my personal interests was regulator and gear servicing, for which Kevin provided personal training in the Kiwidiver workshop and now I am a service technician for a couple of different brands. I also got the chance to dive with a wing type BCD from Frog, which I found pretty awesome and ended up buying my own from Kiwidiver, which I got at a special “intern” price, as they are the official Frog distributor for the region. 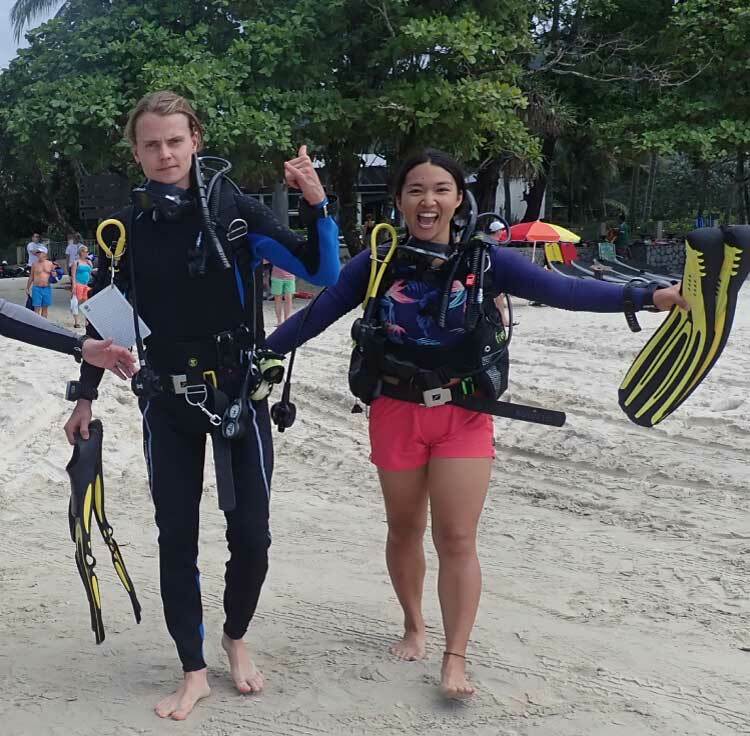 To sum it up – a Divemaster internship at Kiwidiver is for those who want to learn and work hard and that is exactly why we loved it. Our 90 days were full of action and we just could not get enough. We achieved what we came for and are ready to become top-notch diving professionals. Looking to become a PADI Divemaster? The next Divemaster internship with Kiwidiver starts 1 Nov 2018. Our course is limited to two candidates and completely tailored to your interests. Bring your buddy or meet a new one here – the course is equally rewarding either way!